Discussion in 'Legal Issues and Dispute' started by Prashant Sharan, Feb 8, 2019. Airtron.com was registered in 1994, and in 2018 it was hit with a UDRP at the National Arbitration Forum. 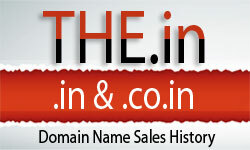 The 24 year old domain was defended by IP attorney, Zak Muscovitch.